Due to our huge industrial expertise and an enormous competence of this arena, we are highly capable of presenting a highly reliable consignment of Mild Steel Scrap. Owing to their high resistance against heat and reliability, these offered scraps are widely recommended. Also, our ability to deal with their large orders, we are highly recommended. M S Scrap for sale in Bundle form. We are one of the reliable companies in this domain and are into offering Mild Steel Scrap. We are a renowned mils steel Turning scrap supplier and we offer light weight and anti-corrosive properties for the industrial application. Steel turnings supplied by mehta steels are supplied in 2 forms loose and in briquettes. The loose ms turnings can be bundled on special request of customers in few cases. The turnings supplied by mehta steels are of good quality. We are also engaged in the import, export and supply of MS turning scrap. We are engaged in providing high quality ms turning scraps which are used for melting purpose. These scraps have properties such as anti-corrosive and light weight. Clean steel or wrought iron turnings, free of iron borings, nonferrous metals in a free state, scale, or excessive oil. May not include badly rusted or corroded stock. 220 Machine shop turnings and iron borings. Same as machine shop turnings but including iron borings. We are one of the reputed organizations engaged in offering a wide range of Mild Steel Scrap. These mild steel scrap are widely appreciated for impact resistant and high electrical and thermal conductivity. We offer a vast range of steel mild scraps and metal wastes from the milling and metallurgical industries. These mild steel scraps are available in various grades like 304, 316, 310 and 202. These are used in a host of industries such as tools, machinery and heavy equipment sector. 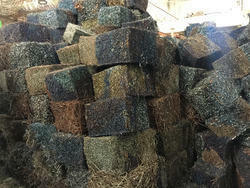 We have gained expertise in offering our clients a premium quality range of MS Scrap. 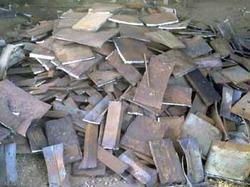 This scrap is highly demanded in the market owing to its superior quality and rust-proof nature. Apart from this, the offered scrap is procured from trustworthy vendors who hold a prominent position in the market. Furthermore, we offer this scrap in an affordable price with timely delivery. The Mild Steel Turning Scrap offered by us, has light weight and anti-corrosive properties. The Mild Steel Turning Scrap is demanded for different industrial applications. We make available t Mild Steel Turning Scrap in bulk quantities and that too at competitive prices. We offer our esteemed clients a supreme range of Mild Steel Scrap. This range is free from abrasion and corrosion. We are also engaged in the trading of MS turning scrap. We are engaged in providing high quality ms turning scraps which are used in wide industrial applications. These scraps have properties such as anti-corrosive and light weight. For catering the variegated needs of our clients, we are deeply engrossed in offering a qualitative array of MS Boring Scrap.